In the event of a real fire emergency, the fire extinguisher is one of the most readily recognisable tools you will reach for. They can help put out and control fires, preventing their spread and saving lives. We can help residential and commercial clients alike in Guildford ensure they’re fully equipped. From helping you choose the right extinguishers to meet your needs to make sure that they’re ready to work in an emergency situation, you can rely on us. Extinguishers are your first line of defence against the outbreak of a fire. 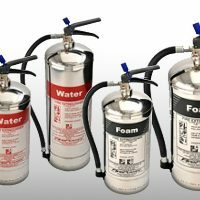 We have supplies of all different kinds of fire extinguishers, including CO2, dry powder, water, wet chemical, and foam. The different kinds are more effective in different situations. For instance, CO2 extinguishers are effective at battling flammable liquids like paints and petrol, as well as electrical fires, but not deep fat fryer fires. For those, only wet chemical extinguishers will work. We can help take a look at your needs and the risks that your business and building faces on a regular basis to ensure you’re equipped with the right extinguishers. 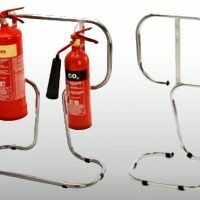 We can also help install cabinets and stands in the areas where a fire extinguisher will be most effective. 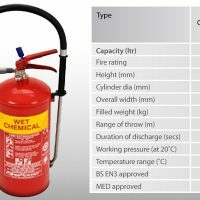 This ensures that your extinguishers will be stored safely and will always be easy to access when they are truly needed. Fire extinguishers play a small but important part of your fire safety plan. You also need to include equipment like fire alarms and emergency lighting in those places. Fire safety experts advise that evacuation and calling the emergency services should be your first course of action. Furthermore, anyone who is expected to operate a fire extinguisher in an emergency situation should be thoroughly trained in the use of it. After all, picking up the wrong extinguisher to deal with a certain type of fire can be a serious risk. Building owners need to understand that they aren’t done with their extinguishers once they have them installed. Current fire safety regulation dictates that all fire extinguishers need to be serviced once a year. This servicing includes a full inspection, checking that the extinguishers are the right weight, have the correct pressure, and aren’t suffering from any major issues with corrosion. We can help service your extinguishers every year, inspecting them, informing you of any necessary changes, and making sure that you are supplied with effective equipment. Besides the inspections mentioned above, we can also ensure that all labels are readable and that all the mechanisms of the device work as intended, including the dip tubes and the hoses. 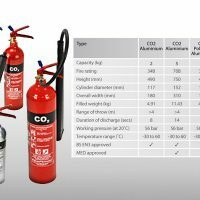 Do you need fire extinguishers? Fire extinguishers aren’t always the most applicable solution. In many cases, they need to be used relatively soon after the outbreak of a fire. However, they can prevent the spread of a smaller fire into a much larger one. Guildford saw 193 accident deaths due to fire in one year, alone. Many of them start out small, with some of the most common causes including smoking materials, electrical heater faults, and naked flame ignitions. With the quick access and use of a fire extinguisher, it’s possible that some, if not all, of these deaths could have been prevented. It takes the fire service on average between a minute and five minutes to respond to an emergency callout. You shouldn’t hesitate in calling them when a fire breaks out, but an extinguisher can help you respond much sooner than they can. This is especially true in the case of chip pan fires, where it takes three minutes for it to spread throughout a room. 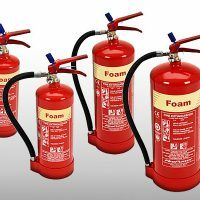 We can help homeowners, landlords, and business owners all throughout Guildford ensure that they have the fire extinguishers that they need in a time of crisis. 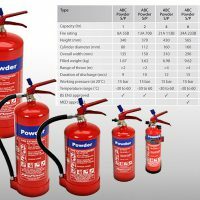 Get in touch with us using the contact details provided on the page and we can help you with all things fire extinguisher related.